This week I have a finish and some adds for my Stash Report. I had an easy UFO for July and was able to finish before I left on vacation. 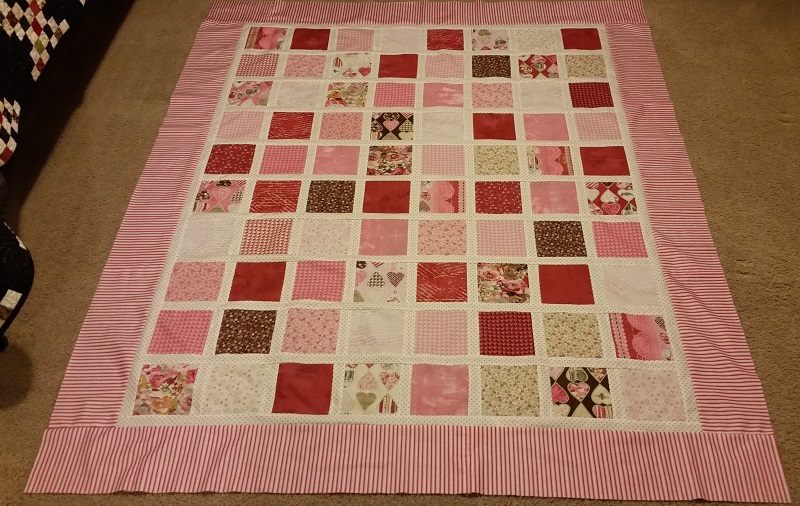 I call it Valentine Squares and it was designed by Connie from Sunshine Quilt Guild. Adds below are from a trip made in June to San Antonio. 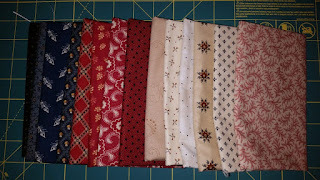 More Red/White/Blue for my Dear Jane. 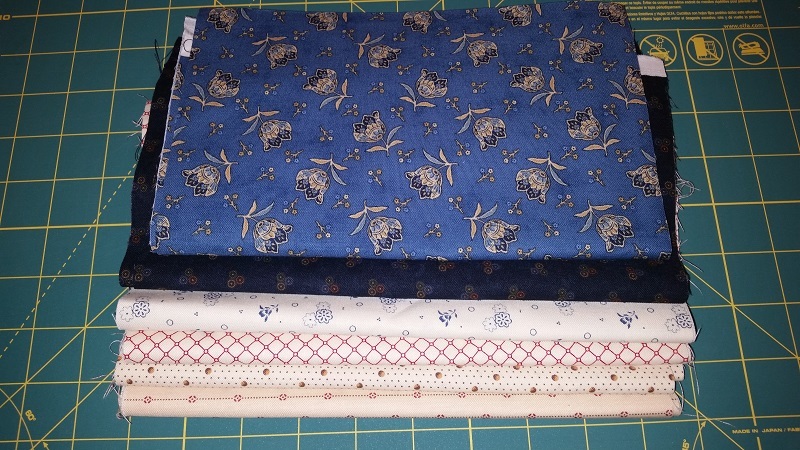 These were purchases at Quilthaus. No change in the numbers, but will have to add a block of the month, that was purchased, once I figure out the yardage. Hope you are in the black! 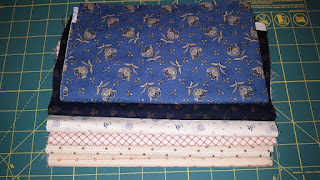 Click here to see more stash reports at Patchwork Times.